If your company ships dangerous goods by air, being aware of current regulations can save your company timely delays. 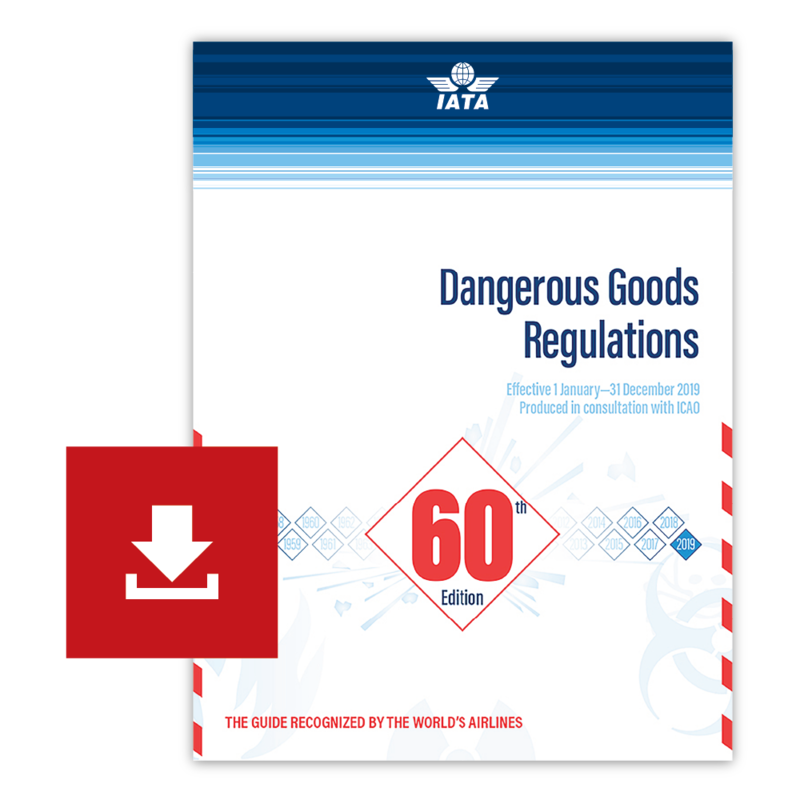 The IATA Dangerous Goods Regulations (DGR) is the only manual trusted by shippers and airlines to provide a reliable and comprehensive outline of dangerous goods regulations. Follow the easy-to-use index to find out what limited quantities are safe to ship, what inner packages are required by state and operators, what markings and labels are needed to properly identify dangerous goods, and more. The IATA DGR is available in English, French or Spanish, or as a kit, together with the Quick Reference Guide, eDGR on CD-ROM and more. 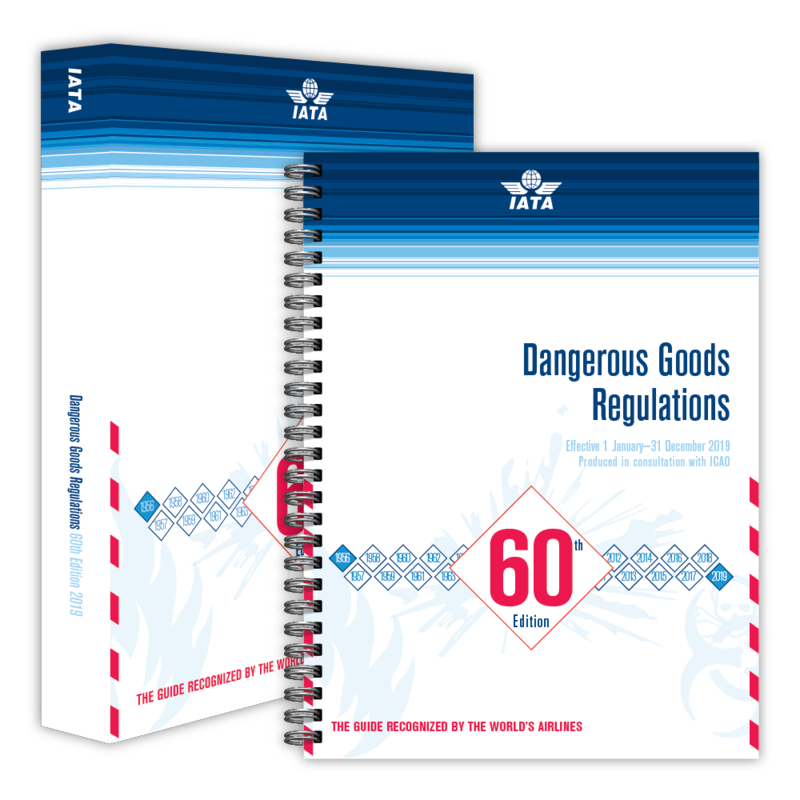 IATA Dangerous Goods Training Workbooks are also available. The IATA Dangerous Goods Compliance Kit offers the best value on the most complete hazmat documentation package. 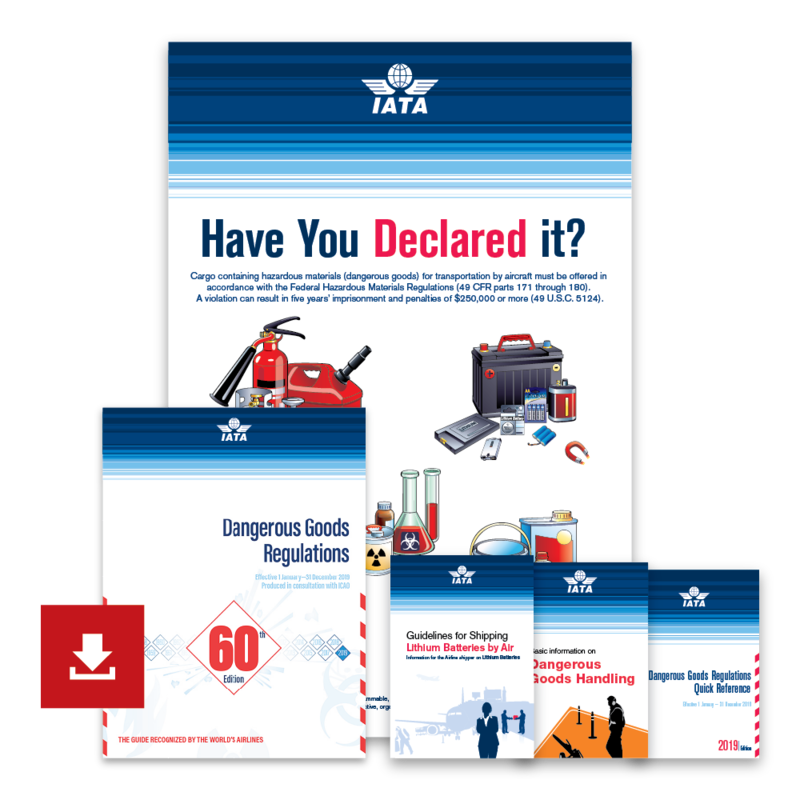 The compliance kit includes: the DGR manual (perfect bound); the dangerous goods quick reference guide; the eDGR software download (offers search, sort, filter and cross-reference capabilities); a dangerous goods poster; a unique safety awareness video to help train your employees; and the IATA dangerous goods ruler. Quick search and index functions. Easy search and sort of Section 4.2, the List of Dangerous Goods. Flash Card: Collective reports generated by one click of a dangerous good listing in section 4.2. See relevant links to the Packing Instructions and Special Provision. The IATA DGR is the trusted source to help you classify, mark, pack, label and document dangerous shipments, based on international and national air regulations as well as airline-specific requirements. Recognized by the world’s airlines for over 55 years, the DGR is the most up-to-date, user-friendly reference in the industry. 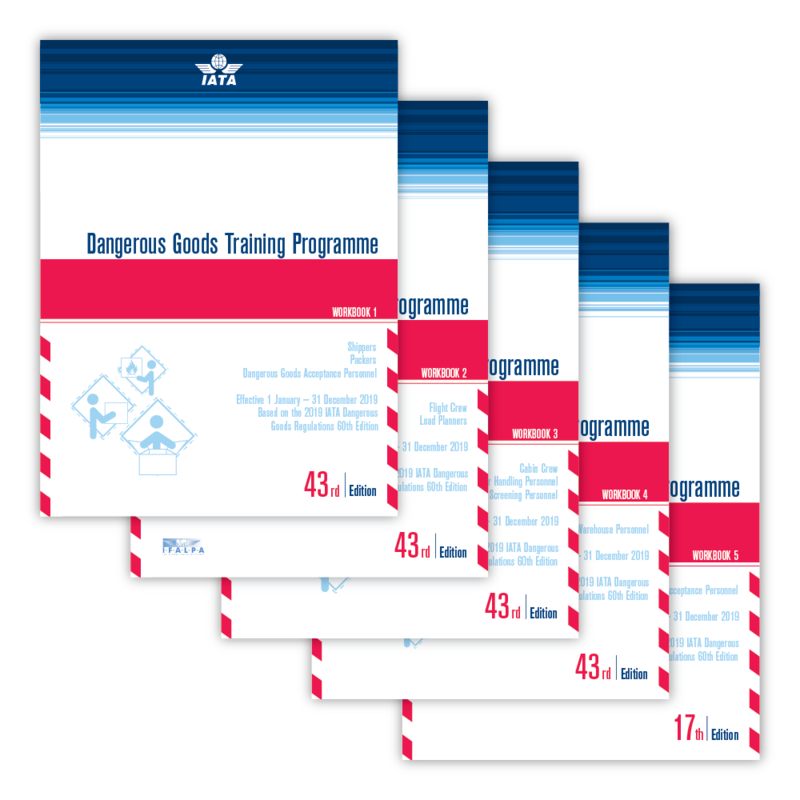 These training programme books meet the strict training requirements of the dangerous goods industry. Significant amendments and additions to the special provisions. New and revised packing instructions. New provisions for Dangerous Goods in excepted quantity based on the UN adoption of these provisions.